AMOUNT OF PRODUCT: 0.29 fl. oz. 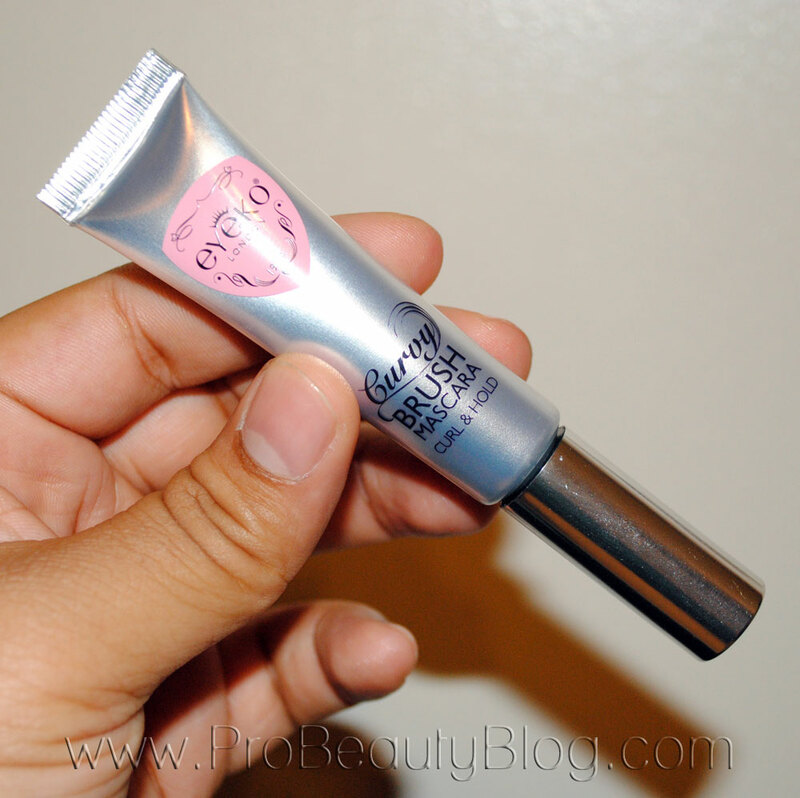 PACKAGING: Mascara comes in a flexible & squeezable plastic tube. 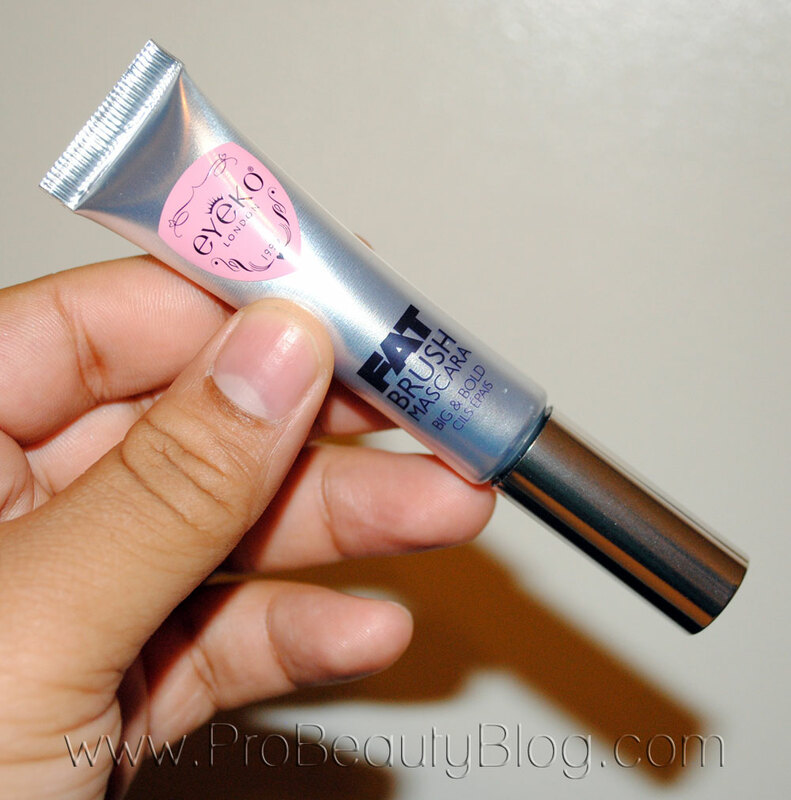 SIZE: A little shorter than a traditional tube of mascara. INGREDIENTS: Water, Acrylates Copolymer, Cera Alba (Beeswax), Hydrogenated Rapeseed Oil, SD Alcohol 40-B, Propylene Glycol, Copernicia Cerifera ( Carnauba ) Wax, Cetearyl Alcohol, Silica, Phenyl Trimethicone, PEG-40 Stearate, Octylacrylamide/Acrylates/Butylaminoethyl Methacrylate Copolymer, Isobutylene/Sodium Maleate Copolymer, Triethanolamine, Stearic Acid, PEG-100 Stearate, Glyceryl Stearate, Montmorillonite, Hydroxyethylcellulose, Simethicone, Methylparaben, Dimethicone, Propylparaben, Polysorbate 20, Panthenol, Disodium EDTA, Potassium Hydroxide. May contain: CI 77499 (Iron Oxide). COMPANY DESCRIPTION: Our slim design brush with dispersed bristles grabs and captures even the shortest lashes to lengthen, extend and separate like no other. We use a unique botanical blend with key ingredient Pro-vitamin B to promote growth by preventing breakage for instantly longer lashes with long-term lash care. I really love the packaging. 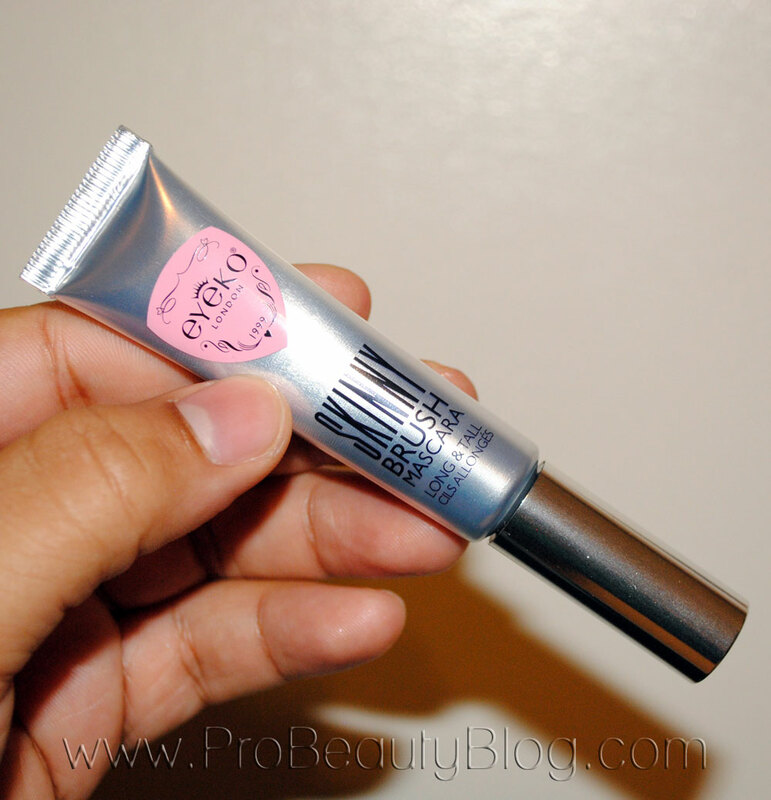 This is the first mascara that I’ve ever used with a soft-sided tube. It is really great to be able to squeeze-off the excess mascara, instead of dirtying the rim of my mascara tube with product. 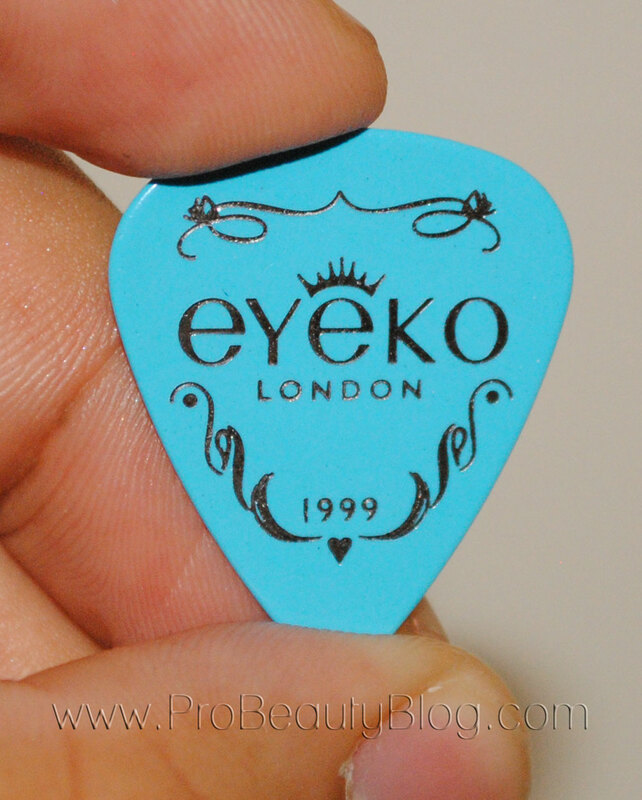 The mascaras also, each, come with one of these Eyeko guitar picks. I never had the idea to use one before I saw them included with this product. As simple and obvious as the idea is… it really helps when applying the mascara. I really want to like this mascara, i do, but I can’t give it the rave review that I want to give it. While I am absolutely head-over-heels in love with the packaging, guitar pick accessory, and wands… I can’t stand behind the formula. Let’s start with the good. The tube is amazing. 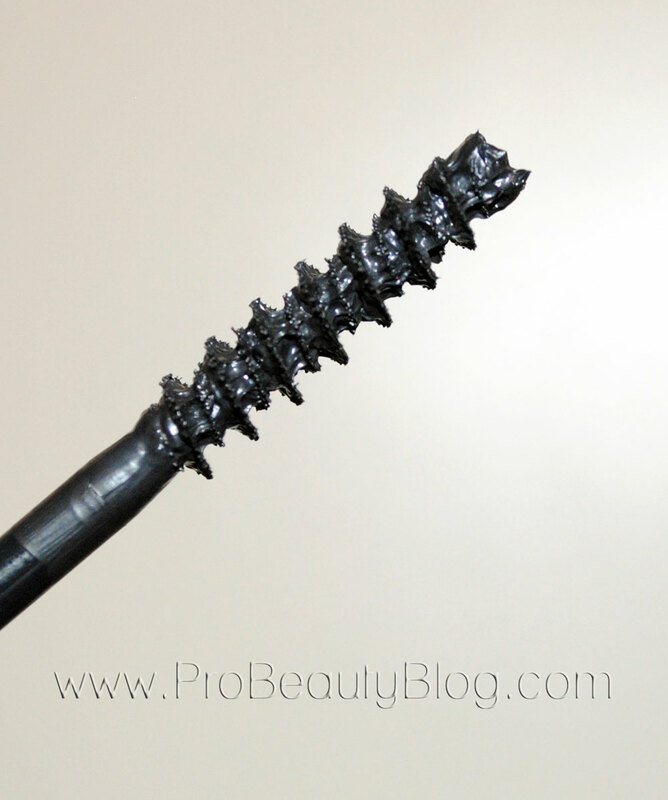 While using this mascara, I never had to worry about scraping off mountains of product onto the rim of my tube. 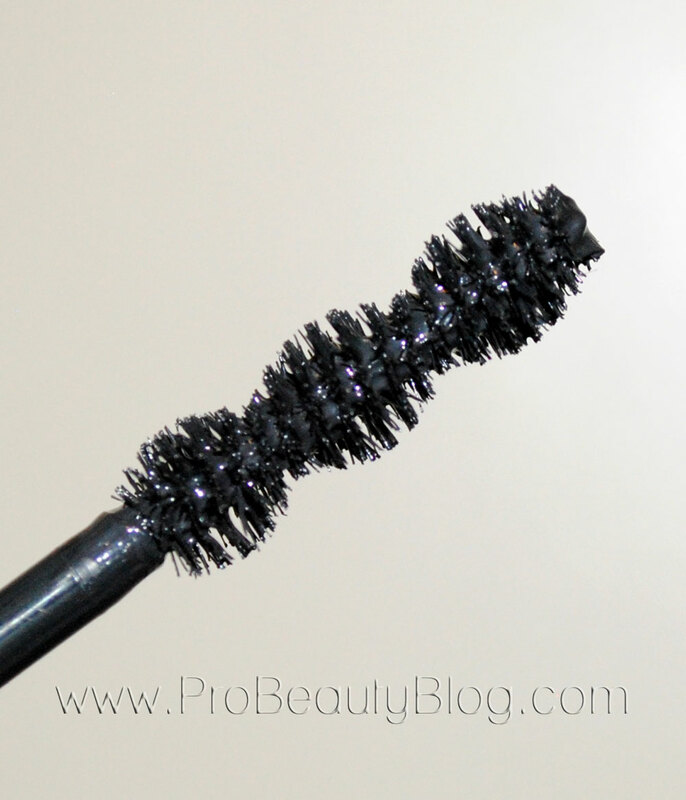 As we all know, all that excess mascara does is build-up and cause clumps in your mascara once it dries. With this tube, the excess stays in the tube where it belongs. Another thing that I loved about this mascara was the choice of brushes. 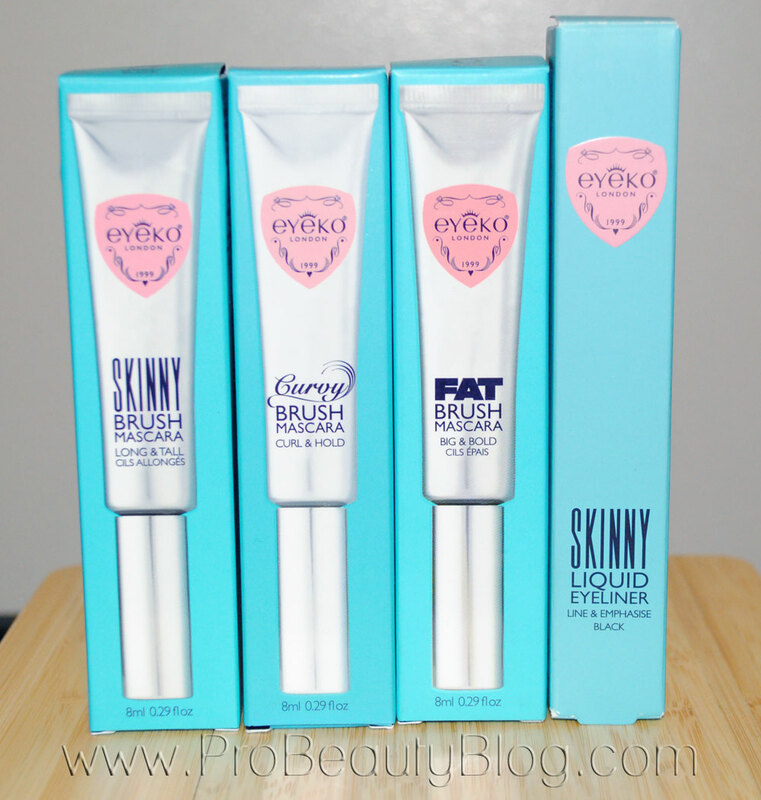 I absoluley enjoyed the skinny brush and the curvy brush. The were really good about giving a precision application, disbursing the product in even coats, and separating the lashes. I was quite impressed. Now, for the bad… I absolutely hate the formula. While it is ULTRA black (I’d say the 2nd blackest formula I’ve ever used, next to L’Oreal Voluminous Carbon Black) it dries down as hard as a rock! I mean, literally! 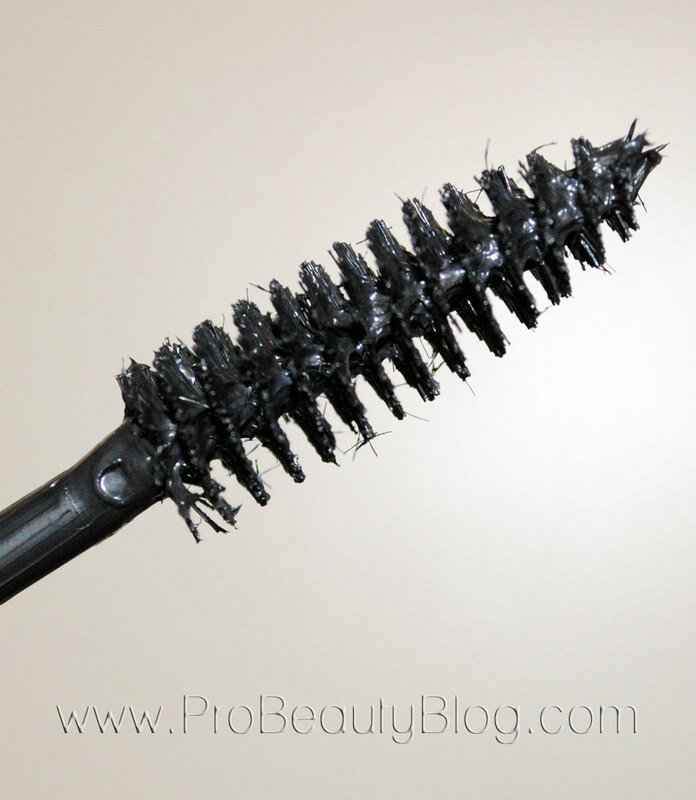 The mascara dries so hard, the lashes are left as stiff as a frozen metal pole. When I tried to remove it from my model’s lashes, the mascara had dried so much it was flaking like tree bark, and I was so scared that her lashes were going to break, and I can’t have that worry on my hands… oh, absolutely not! The second problem is the fat brush. It is the worst volumizing brush I’ve ever used. It applies way too much formula and it clumps the lashes together, giving you that dreaded spider lash. Again, I say ABSOLUTELY NOT! To have so many great qualities, it pains me to say, that based on the formula, I have to say that I can’t recommend this mascara… in any of its versions. The only use I could think of for this mascara is an underwater shoot, where you need that mascara to be rock solid. Mascara should stay flexible, and keep the lashes looking soft and moist in my opinion. This is not the product for me.